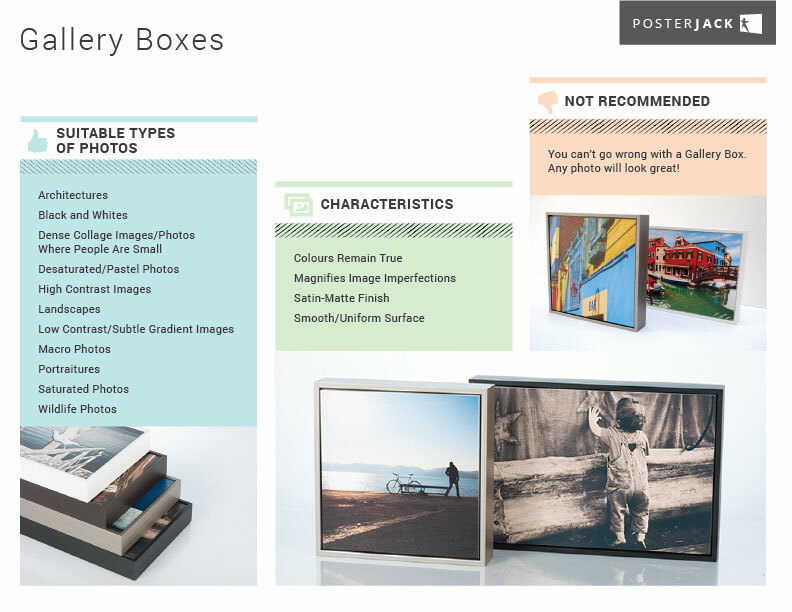 One of our most versatile photo art products, the Gallery Box is a great choice for virtually all types of photos and, for that matter, all types of décor styles too! The colours in your photo will remain true and the surface of a Gallery Box is smooth with a satin-matte finish. If you’re not sure which product to print your photo on, you really can’t go wrong with a Gallery Box.